an open [sketch]book: squeak, squeak! Speaking of Halloween, I get so excited each October as I dream up ways to turn ordinary clothes into sweet costumes that require very little sewing know-how; the sketches that come from these explorations are some of my favorites. 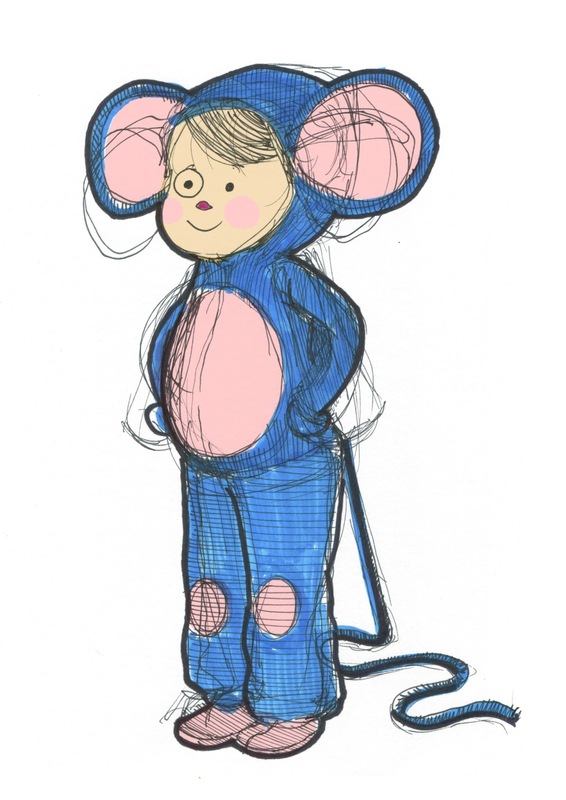 Case in point, this little sweatsuit mouse. I have not been to your blog in forever! This is such an adorable sketch! Love it! I like when people use their imagination and transform simple things into a festive ones. Guess that it's more simple to redecorate old clothes that to create a new costume. I always follow this rule before making new things. I love minimalism and giving second life to old staff. More information about my activity you will find in my blog http://seifertforgovernor.com/ .